« Gabriela (aka Gabasia), a Polish dancing girl in love with K-pop. There are some fans out there living far away from Korea but having much love for Korean music and forming a strong bond each other even though things are relatively not that good for them to enjoy and keep their passion for K-pop. Romanian Kpop fans would be some of them. We, sarangkpop, wanted to know how they enjoy and try to spread the K-pop love in their country. We contacted the representative of “Mirotic Crystal”, the largest Romanian K-pop fan club, and had an interview about how they love K-pop. Hello! My name is Diana Voina, I’m 20 years old and I’m currently 2nd year student at Faculty of Exterior Design and Landscaping. I live in the city of Timisoara in Romania, Europe. 2. when did you get to know kpop? I believe it was in the summer of 2006. 3. why do you like kpop? Because of it’s unique style and it fits the modern culture of Korea. 4. who’s your favorite kpop artist? Dong Bang Shin Ki are my favorites. All 5 of them. 5. do you speak Korean? I can’t say I’m speaking it yet, but I’m currently trying to learn it. 6. do you have a Korean friend? 7.do you like Korean dramas? If so, what is you favorite one? Of course. My favorite dramas are: Iljimae, A love to kill, Queen Seon Deok. 8. give us an overview of the Mirotic Crystal. Because we are a fanclub of a foreign band, we translate the media in which TVXQ or JYJ appear, making it more accessible for the fans who don’t understand English or Korean. I like to think we are a door towards the Korean culture, or at least a part of it. It’s not just about music; through music, the fans learn more about Korea and it’s customs. 9. when and how did the Mirotic Crystal start? 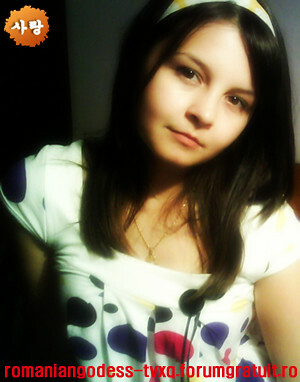 At first I didn’t know many Romanian Kpop fans, but I used to keep in touch with many foreign fans. They were those who inspired me to search other Romanian fans. I was very curious as to how many are there. The documentation about how to create, manage and other details took me 2 years. I didn’t want to rush things. So Mirotic Crystal started on 10th of December 2008. 10. how many members you do have in your fan club? Up until now there are gathered around 350 members. Even though it’s not a big number compared to Japanese or Korean fans, and considering the fact that the Korean culture wasn’t really known until now, I say it’s a good start. Of course, there are many more fans across the Europe. 11. do you have a regular meeting for the members? Yes, it’s annual. All the kpop fans regardless of their fanclub gather at Bucharest. 12. does your fan club have any special plan for Kpop this year? Yes, we are planning our next fan meeting which will be held in September. 13. how many kpop fan clubs do you have in your country? 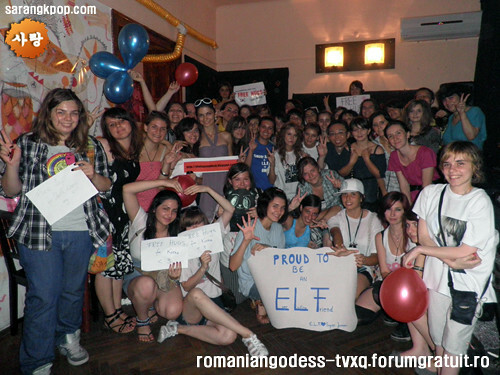 Currently, there are 14 fanclubs in Romania. 14. please, name some of the kpop fan clubs to me. 15. do you often meet up and share info on Kpop? If you’re talking about meeting in person, that would be a bit difficult because we come from different cities, but we do chat on the internet. And because of the fanclubs some of the members bond and visit each other. 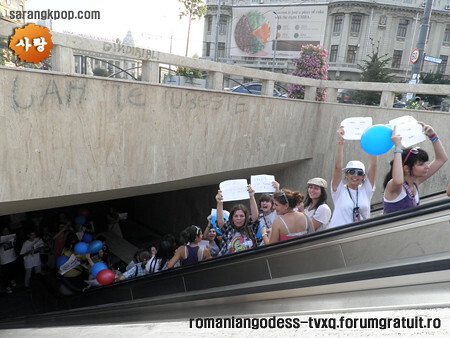 16. is the ROMANIAN K-FANMEETING only about K-pop? No, it’s related to the k culture in general and that includes music, dramas and other related aspects. 17. what made you to hold the event? The members were willing to meet in person and share knowledge about their passion and because in fanmeeting you get to learn many things in a fun way. 18. how many kpop fan clubs joined the event? The last time were only 4 fanclubs represented. 19. will you hold the event on a regular basis? When is the next one? Yes, I would like to hold it annually. The next one will be on September this year. 20. how long did it take to hold the first event? The preparation took 5-6 months. 21. did you do dance covers at the event? If so, how did you find dance teams to perform? At the last as well as the next meeting there will be dance covers. Various members from all the clubs expressed the desire to do this. 22. how long did the event run? The event lasted 8 hours. 23. how many people came to the event? There were about 100 people taking into account that most of them were minors and the parents wouldn’t let them go if they lived far away from the capital.